Sometime over the last five years or so, things in our everyday lives began connecting to the internet. Suddenly we had smart thermostats, smart refrigerators, and smart watches, among other things. While all this connectivity was supposed to make life easier, it has raised definite security concerns. Those concerns were realized in full last Friday when hackers were able to infect tens of millions of smart devices with malware and launch denial of service (DOS) attacks on major websites. 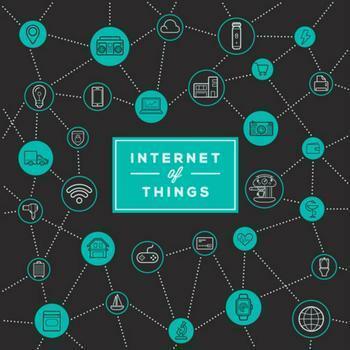 In a survey conducted before that incident, but released just afterward, consumers expressed concerns about the security of this growing Internet of Things (IoT) but were mostly in the dark about what to do. It showed more than half of consumers have three or more devices, besides computers and smartphones, that connect to the internet through their home routers. But consumers only now appear to be coming to grips with the security implications. A survey commissioned by the Department of Homeland Security (DHS) found 43% of consumers either haven't changed the default password on their home router or aren't sure if they have or not. "The Internet of Things presents tremendous opportunities for managing our health, homes and businesses, but we need to have our eyes wide open about the risks as well," said Michael Kaiser, executive director of National Cyber Security Awareness Month. Kaiser says consumers need to think of the IoT as the “internet of me.” Consumers, he says, need to be proactive about learning what information your devices collect, where it's stored, and how it's used. “Additionally, it's especially important to pay attention to the security of your mobile device if you are using it to control IoT devices – as well as your router, if you're connecting devices to it," he said. Last weeks attack on the internet was not that difficult since many devices that make up the IoT have little or no security protection – at least a lot less than a computer or smartphone operating system. That made it relatively simple for hackers to download malware. The problem, unfortunately, may get worse before it gets better. Almost a year ago, Gartner projected that there would be 6.4 billion devices connected to the internet in 2016, up 15% over 2015. Consumer devices, by far, make up the largest portion of devices. Unfortunately, consumers are dependent on appliance and smart device manufacturers making their products more secure. In the meantime, a consumer's best defense is using a strong password for network routers.